Just weeks after it was confirmed that Batman v Superman star Ray Fisher will return as Cyborg in Warner Bros.' The Flash, Warner Bros. is in talks with Billy Crudup to join the cast. If a deal comes together the actor will portray Dr. Henry Allen, the father of Ezra Miller's Barry Allen. 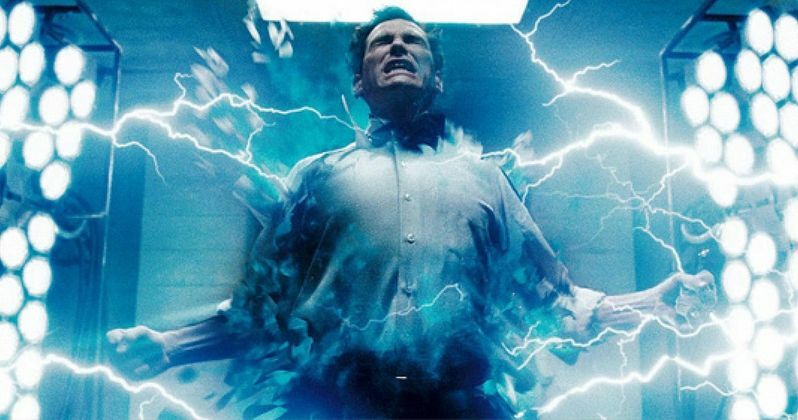 This would mark Billy Crudup's return to the DC world, having played Dr. Manhattan in Warner Bros.' 2009 comic book adaptation Watchmen. Variety broke the news today, although this report doesn't include any details about how this character may be different from both the comics and the hit TV series. On The CW's The Flash, Dr. Henry Allen is played by John Wesley Shipp, who played Barry Allen in the 1990 TV series The Flash. In the series, much like in the comics, Henry Allen was framed for the murder of his wife and Barry's mother, Nora Allen. Billy Crudup joins a cast that also includes Kiersey Clemons as Iris West, a character played by Candice Patton on The CW TV series. It has been revealed that this movie version of Iris is a 'tough-as-nails' journalist who befriends Barry Allen, but it isn't clear if she will become Barry's love interest in the movie. A report from April teased that there will be five DC Comics characters that will be cast in this movie, but Henry Allen wasn't on that original list. The list included the already-cast Iris West, along with Eobard Thawne (Reverse Flash), Fred Chyre, a Central City Police Detective, Len Snart (Captain Cold) and Jay Garrick, who serves as The Flash on Earth-2. It still hasn't been confirmed that these characters will be included in this story, but a rumor circulated last week that the main two villains will be Captain Cold and his sister, Golden Glider. Neither of those characters have been cast yet, but that may happen soon. Rick Famuyiwa (Dope) is directing The Flash from a script by Seth Grahame-Smith. Warner Bros. has set a March 16, 2018 release date for The Flash, but we don't know exactly when shooting will begin. Billy Crudup most recently starred in the Best Picture winner Spotlight, and he will next be seen in 20th Century Women and Youth In Oregon, neither of which have release dates quite yet.